I’ve gotten several e-mails and comments asking if the webinar produced by WSSA as part of Invasives Species Awareness week was available on-line. I’m happy to say it is. Go to Glyphosate, Friend or Foe? See also The Roundup Myth by former Wild Ones Journal Editor Maryann Whitman. Here we go again. Another new word — er-r-r term — for me to research: Pesticide Safety Education Programs (PSEPs). I found out PSEPs have been around for some time, typically under the jurisdiction of land-grant university departments of agriculture. But in October 2012, after EPA reduced funding for the programs, a National Stakeholder Team for PSEP was created. Among other things, their objectives mandate they promote awareness of PSEPs and secure funding to support the programs. Check out the National Pesticide Safety Education Month webpage to see how many of the twenty-four basic types of pesticides.you use. 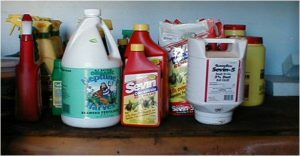 While you’re on the webpage, also check out the left-hand menu for a huge list of other pesticide safety education items. For example, click on the link for basic pesticide safety principles or any of the links for safety information from the label. Here’s also where you can learn how hazard, toxicity, exposure and risk management relate to the pesticide label. Or familiarize yourself with Occupational Safety and Health Administration (OSHA) Hazard Communication Standards and pesticide and Safety Data Sheets (SDSs). There are pollinator and wildlife protection sections. Information about stewardship, and a list of federal statutes and laws as they relate to wildlife. And so much more. So if you use pesticides, you might like to take some time to become familiar with the National Pesticide Safety Education webpage. So when you’re using pesticides for whatever reason, you’re armed with the facts about using them safely. Note: According to the National Pesticide Safety Education website, here are all the different types of people/entitites who use pesticides. Who knew it would be such an extensive list? PlayCleanGo – Stop invasive species in your tracks. 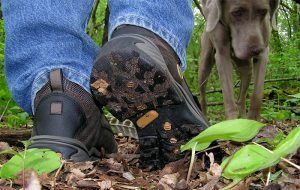 REMOVE plants, animals & mud from boots, gear, pets & vehicle. CLEAN your gear before entering & leaving the recreation site. STAY on designated roads & trails. And USE CERTIFIED or local firewood & hay. Events are being hosted by a variety of organizations throughout the USA with four seminars planned specifically for Washington, DC. An interactive map is available which provides information on local activities around the nation. There is also an online toolkit to help plan an invasive species awareness event or just to use for educational purposes. I was particularly pleased with the section called PlayCleanGo. The one scheduled for today, Wednesday, February 27, 2019 is on Glyphosate, Friend or Foe? It will be presented by Presented by WSSA member Jason Ferrell, Florida Center for Aquatic and Invasive Plants and editor of the Journal of Aquatic Plant Management. This is the time of year to get caught up with your education about invasive species, but especially invasive plant species. David Cordray is a landowner himself, who with his wife Debra, has worked for many years restoring their 100 acres in Dane County, Wisconsin. 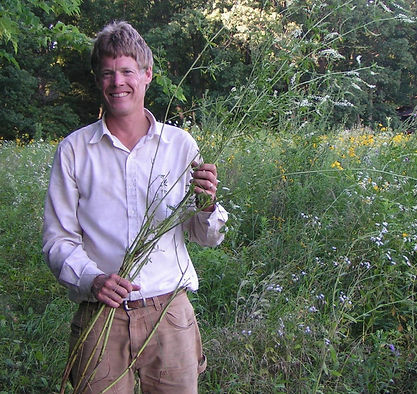 Senior restoration ecologist and engineer, David Cordray, Owner of Environmental Returns LLC in Belleville, Wisconsin will be the keynote speaker at this year’s Toward Harmony with Nature Conference on January 19, 2019 in Oshkosh, Wisconsin. Was your youth rich in outdoor adventures? Did you use these adventures as your classrooms for your ecological goals today? Keynote speaker David Cordray was fortunate to be able to do so. Through his keynote, David will share his journey to finding ecological awareness and his insight into why we must actively participate in restoring the health of our lands. Wishing to give others the opportunity to participate in their natural heritage, he will share his knowledge of the ecology of restoring oak savanna, prairie, wetland and woodlands. Our gardens and landscapes are becoming increasingly important refuges for pollinators, birds, butterflies and other creatures as their former habitats disappear. David will explore reasons for striving for ecological health, how the work benefits not only wildlife, but also ourselves and others, and how we can influence a greater ecological awareness. As an engineer, David Cordray’s first career was working with environmental monitoring satellites. He changed careers in 2008, and brought his creative ideas, work ethic and knowledge to natural lands management. One of his research interests is native landscape design methods and planning to enhance the human outdoor experience. Since 2001, he and his wife, Debra, have been actively restoring their 100 acre homestead near Belleville to prairie and oak savanna. Hosted by Wild Ones Fox Valley Area Chapter, this is the 23rd annual Toward Harmony with Nature Conference, a day-long seminar on native landscaping held at the Oshkosh Convention Center. There will be nine other speakers on the whole spectrum of native plants and natural landscaping, as well as vendors and exhibitors and a silent auction. Mailed pre-registration must be postmarked no later than Friday, January 11, 2019. On-line pre-registration for lunch with the conference ends at midnight, Tuesday, January 15, 2019. On-line preregistration for just the conference ends at midnight, Wednesday, January 16, 2019. On-site registration day of the event is available: $40 member, $45 non-member, $20 student.